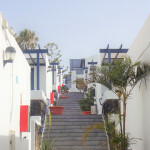 you are searching for somewhere to spend a comfortable, peaceful holiday in a family atmosphere on Lanzarote, just a few steps away from the beach, then our apartments and bungalows are exactly what you’re looking for. 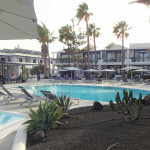 Unlike the formal type of accommodation in one of the large hotels, we offer you a small and pleasant holiday resort run by German management. 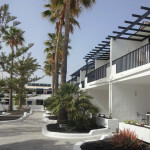 It consists of only 47 units, a large garden landscape with pool and sunbathing area exactly opposite one of the most beautiful beaches on the island of Lanzarote. This website provides you with information on our various types of apartments and bungalows, our versatile services, our process and special offers. If we have awakened your interest, you can book here directly, or take this opportunity to contact us personally. We will be pleased to provide any further information you may require. We hope to be able to welcome you as our guests in the near future. !